*Measurement is conducted in the morning in front of central gates in each container piers, and the average of the indicated two extreme values is recorded. 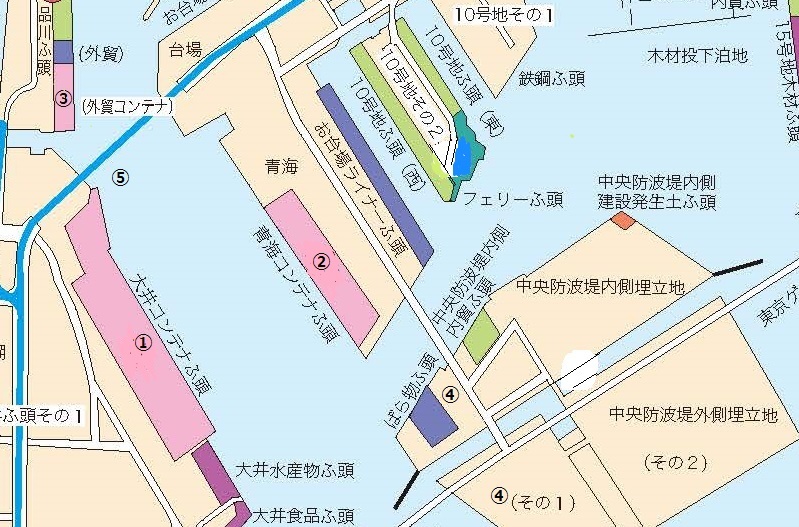 *Seawater to measure is obtained at the point between Oi Container Wharf and Aomi Container Wharf in the morning. *"ND" means that the data were blow thedetection limit (not detected). *Measure radiation dose on the surface of each sample container at the gate of pier head, and disclose number of samples, maximum volume, minimum volume, average volume by pier. * One container with 0.37 μSv/h was detected at Oi Container Wharf, which included naturally occurring radioactive materials.